From a city-winning RED RANSOM mare, whose dam STELLA MAREE (3-time stakes victor) has a perfect stud record of 8 winners from 8 raced foals. REDWOOD (GB) (Bay or Brown 2006-Stud 2012). 4 wins-1 at 2-from 1m to 1½m, Woodbine Northern Dancer Turf S., Gr.1. Sire of 62 rnrs, 29 wnrs, inc. SW Romancer (ARC Mufhasa S., L), SP Rising Red, Rosewood, Swampland, High Mode and of Night's Watch, Chamalu, I See Red, Livin' on a Prayer, Dashper, Rock on Wood, Big Sur, Cedar Grande, Dr Hank, Scarlet Princess, Suliman, Black Thorn, Red Riding Wood, Red Sierra, Tamarack, Discretely Red, etc. Chachi Arcola (g. by Myboycharlie). 3 wins at 1600m, 2100m to 2017-18, Waikato RC Harcourts Te Awamutu H., 2d Waikato RC Tasman Roofing H., Carnival of Racing H., 3d Waikato RC Topsoil & Sand Supplies H.
Geante Rouge (f. by Red Giant). Winner at 2200m in 2016-17 in Aust. A Saucy Snitzel. 6 wins-1 at 2-to 1500m, A$150,615, SAJC Leader Computers H., Drink Driving? Grow Up H., James Boag's H., 2d SAJC Basin Sands Logistics 2YO H., 3d SAJC Goldin Farms H., 1800 Roof Rail H.
Dunloe Park - Affluence of Rain (H.K.). 4 wins at 1200m, 1300m, A$14,775, HK$3,601,650, HKJC Ho Chung H., Sunflower H., Rome H., 2d HKJC Lok Sin Tong Cup, Bullish Luck H., Amethyst H., Tianjin H., SAJC Sportingbet H., 3d HKJC Emerald H., Blue Pool H., Stadium Path H., Hung Mui Kuk H., Panasonic I-Pro Network H., Port Shelter H., Thierry Mugler H., Grassy Hill H.
Magniflying. Winner at 1000m in 2016-17, WATC Get the Tabtouch P.
Propelled. Winner at 1500m, A$90,890, MVRC Advanced Mailing Solutions H., 3d MRC Hyland Race Colours P.
Ella Maree. Winner. See above. Muscovy. 6 wins to 1200m to 2016-17 in Aust. Delta Dreams. Winner at 1200m in Aust. Soolaimon. Winner at 1550m in 2017-18 in Aust. PASTA EXPRESS (Rigoletto). 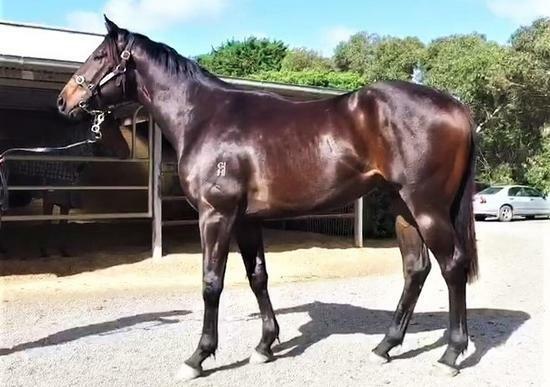 9 wins from 1500m to 2800m, A$659,553, NSW Tatt's RC Chelmsford S., Gr.2, STC Hill S., Gr.2, Christmas Cup, L, AJC John Macleod H., Illawarra TC Kembla Grange Cup, STC RSL Club Welter H., Victor Sports P.H., 2d AJC Metropolitan H., Gr.1, Summer Cup, Gr.3-twice, STC Canterbury Cup, Gr.3, 3d VATC Sandown Classic, Gr.2, AJC Craven P., Gr.3, STC Canterbury Cup, Gr.3, NE Manion Cup, Gr.3, NSW Tatt's RC Southern Courier Flying Welter H., 4th AJC Sydney Cup, Gr.1, City Tattersall's Club Cup, L.
STELLA MAREE (Magic Ring). 7 wins. See above. Bazaars. 6 wins to 1400m, AJC Cordale H., Ashbury H., 2d AJC CVD Asian Delights H., 3d AJC Napoleon Perdis Cosmetics H., Sydney City Lexus P.H., Cabravale Diggers Alan Sindel H.
WEATHER WITH YOU (Teofilo). Winner at 2200m, NZ$14,150, A$111,490, in 2017-18, Geelong Classic, L, 2d ARC Champagne S., L, Ellerslie Jewellers 2YO S., MRC Chandler Macleod P.
Crown Heights. 4 wins at 1200m, 1450m, R338,600, Vaal Rugby 5 H., Soccer 6 H., 2d Vaal Racing Association H., Rugby 5 H., Avis International Jockeys Challenge H.
Charge a Fortune. 2 wins at 2, BRC Winning Edge Awards & Designs 2YO H., 2d BRC Ramsay Health Care 2YO H.
Perazzi. 5 wins to 1200m, A$79,855, to 2017-18, 3d MRC Le Pine Funerals H.
Tuhao Power. 4 wins to 1200m to 2016-17 in Macau, 2d Macau Lisboa 3YO Challenge II H.
Karwyekeet. Winner at 1200m in Malaysia.